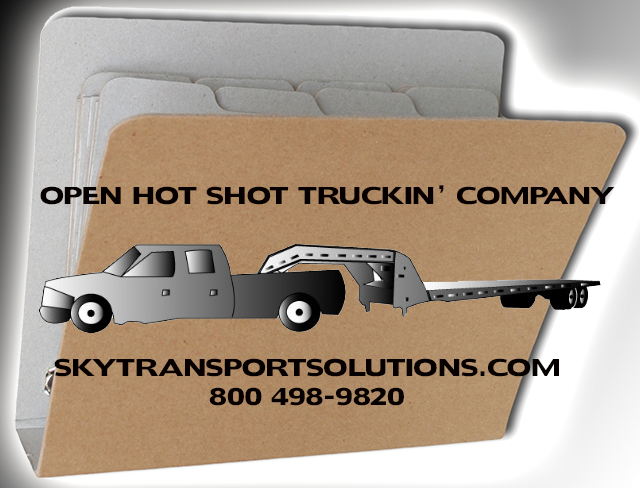 Open hot shot trucking company is not as difficult as you may think. Start a hot shot (also known as Hotshot) trucking company by first deciding if this is what you want to do for work. Look around numerous freight matching websites to see how much money you get paid when you get loaded with lots of loads and freight for your hot shot truck. Online freight matching services make it much simpler for brokers and carriers to find loads and trucks. These services work in different ways, but the goal is always the same; to improve efficiency for both carriers and shippers by making the best use of available equipment. Start freight matching by posting loads and trucks to freight matching boards, your postings are compared to load and truck availabilities in their system. If a match is found, one or both parties are notified so they can contact each other to make shipping arrangements. Sometimes notification takes place immediately on the website, other sites provide notification by e-mail, fax, or pager. Not all load boards perform freight matching, some just allow you to search for matches on your own. A true freight load matching service will provide some level of automated matching and notification based on what you have posted. When it comes to your DOT compliance safety audit, it is important to be prepared. The best way to pass a DOT audit is to be certain that you are in compliance in the first place. To assist you in this matter, below is a DOT safety audit guide detailing some of the main points to prepare for. You should have regular drug and alcohol testing as part of employment. To pass your DOT safety audit, you need a drug and alcohol testing program that meets the requirements, including having a set policy and a way to report testing results. Supervisors should also complete reasonable-suspicion training to teach them how to recognize the signs of drivers that are under the influence. 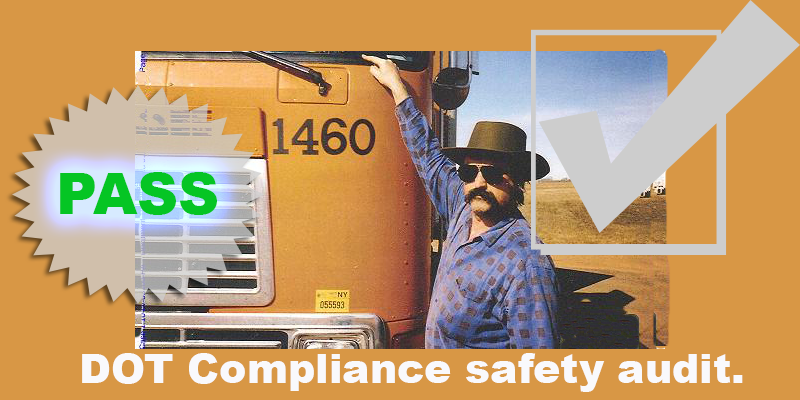 As part of your DOT compliance safety audit preparation, you will need to have certain files set up and maintained. A DOT audit will look at both your Driver Qualification File and your Safety Performance File. The Driver Qualification File should contain information such when a driver’s license will expire and driving records. The Safety Performance File includes forms that look a driver’s driving history. Another thing that a DOT complaince safety audit will look at is whether or not your drivers are meeting the hours of service requirements and are keeping their log books complete and accurate. Before you have a DOT audit you will want to make sure that drivers are filling out their logs completely and not going over the maximum hours behind the wheel. Part of your DOT compliance safety audit will be verifying that your vehicles are in good repair, and that they have regular inspection, repair, and maintenance rules. You will want to make sure that drivers are doing all inspections properly and maintaining records of these inspections. This includes inspections that drivers do themselves, as well as annual inspections, emergency equipment, vehicle maintenance logs, and the qualifications of inspectors. Your DOT audit will also look to see that you have the minimum level of financial responsibility required. All drivers are required to carry insurance, and business owners will also need to verify that they are properly insured before having a DOT safety audit. There are many ways to make sure that you are compliant with DOT safety regulations before you have a DOT compliance safety audit. There are several companies that offer DOT safety audit assistance and will go over your records to make sure that you are in compliance. In addition, you can order the FMCSA Safety Regulation Books to make sure that you are up to date on all of the current FMCSA requirements. Keep in mind that every employee should be aware of his or her part in staying compliant with DOT compliance safety audit regulations. The best way to survive an audit is to make sure that you are staying compliant the first time, every time. Sky Transport Solutions provides DOT compliance services.